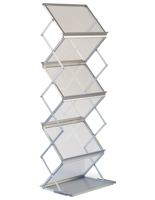 More Overall Width & Case Type Options Available! 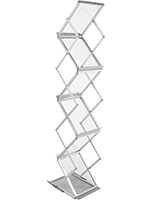 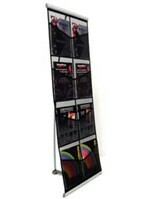 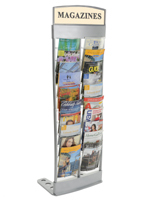 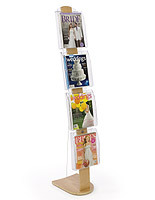 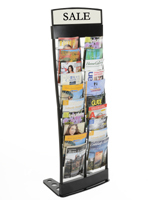 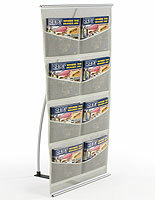 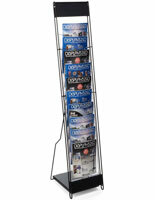 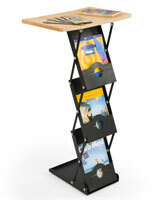 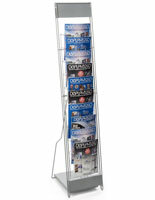 A portable literature rack is the perfect solution for distributing important information and publications at events. 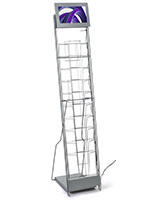 The unique knock-down assemblies of the stands makes them ideal for those on the move. 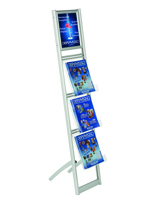 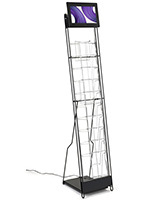 The trade show literature racks & portable catalog stands for sale in this category include handy carrying cases or bags for effortless transport. 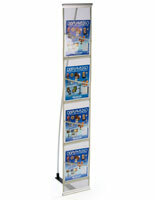 Trade booth attendants, traveling sales representatives, and motivational speakers frequently implement folding brochure or flyer stands as a way to simplify their presentations. 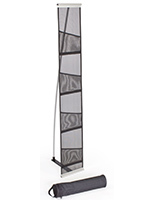 Each model is designed with a compact construction that is both durable and light in weight. 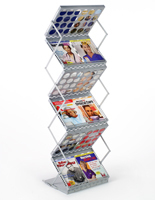 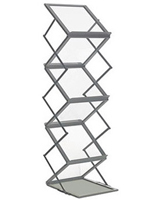 In addition, the portable magazine racks assemble quickly and easily in just a few moments. 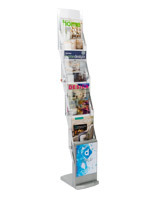 Most of the trade show literature racks found above are made of metal, although there are also a few that are crafted from a mesh material that is even lighter. 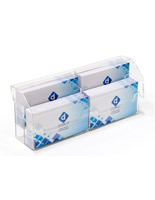 There are a variety of pocket configurations as well, so customers are able to choose the unit that supplies the right capacity. 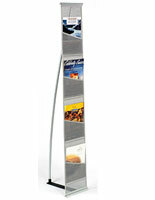 Conventions and traveling exhibits are the perfect applications for rolling out these lightweight literature displays. 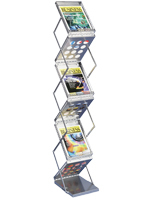 These collapsible flyer displays are part of a unique line that offers users portability. 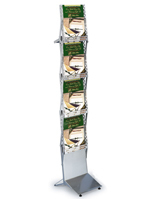 A folding literature stand is perfect for those traveling to and from exhibitions, conventions, lectures, and conferences. 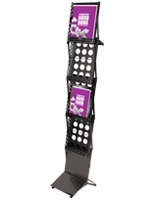 Included with each purchase is a convenient travel bag with either straps or handles. 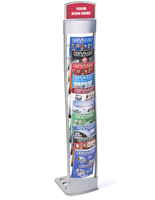 This way, trade show go-ers, event booth attendants, and other traveling sales representatives can get all their literature set up quickly and easily. 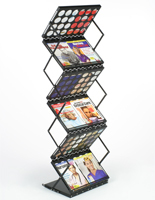 The knock-down configuration of these metal and mesh magazine racks is straightforward, so assembly takes just a matter of minutes. 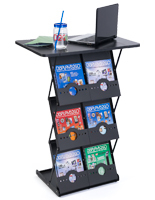 In addition, the expertly designed catalog stands are made from lightweight materials, so users can avoid strain or injury that can take place with heavier units. 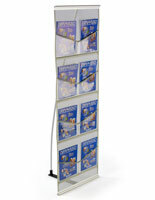 Today's traveling sales representatives, guest speakers, and other presenters often require a literature display solution that can be taken on the road. 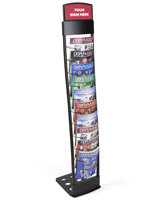 These portable brochure stands not only fold down for storage and transport, but also they are built to last from one event to the next. 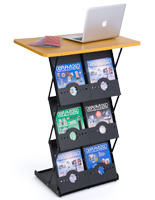 Each of the collapsible magazine racks has a simple knock-down assembly, so most of the selections take only a matter of minutes to assemble or break down, so users can be ready for a presentation at any time.